Apart from having an impression of well-maintained roads, strict laws, beautiful tourist place, another thing that Singapore boasts of is its coworking spaces. Singapore is a small city with a marginal population and majority of people in this generation want to become an entrepreneur. 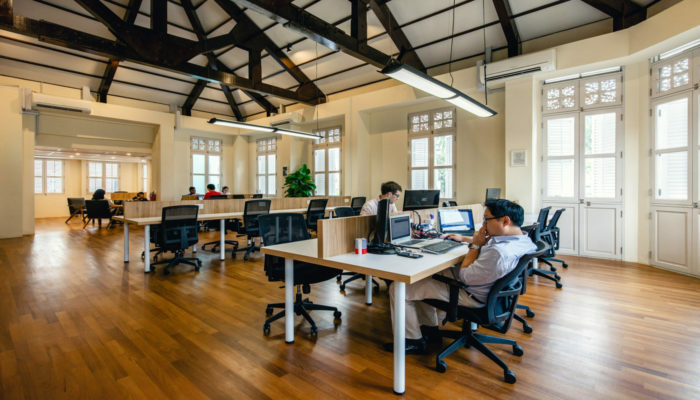 Coworking space Singapore is the answer to the ever-growing demand of office space in the city. Singapore is turning out to be a hotbed for the mushrooming concepts of entrepreneurship as well as the need for coworking spaces which go hand in hand. Cost is one of the main considerations which hits the mind of an individual aiming to start with his/her own business and the very idea of the efficient coworking spaces in Singapore is to provide all the budding people with a workplace and an environment that suits everyone’s need. 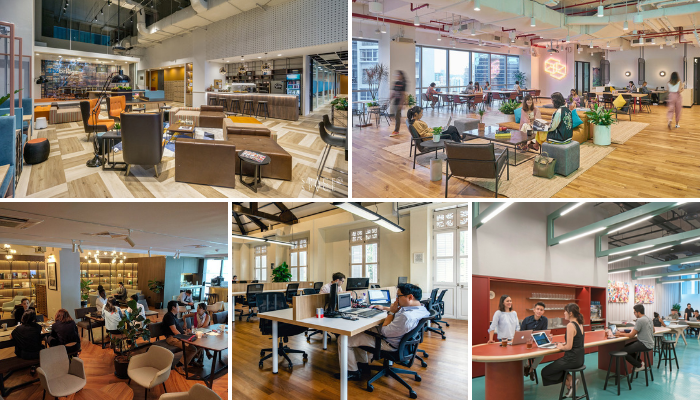 With numerous options available, to choose one of the best coworking space in Singapore might quite be a task for many but to keep you sorted, here’s a list of the top 10 coworking spaces in Singapore. Though, there are many others that are equally commendable and rewarding. If working from home is no more a thing for you, these coworking spaces in Singapore are hands down to try for sure. With a mission to build a community of individually as well as people working in groups, WeWork focuses on helping people pursue what they love and turn out with something great with that. Tenacious in nature, this coworking space at Robinson Road, Singapore is an ecosystem where you can find a mix of creators, leaders as well as self-starters who like to forecast new things and thus challenge convention. Locations: 36, Robinson Road, Singapore. 22 Cross Street, 60 Anson Road. 5 Temasek Boulevard and many more. Amenities: The onsite staff is available for ever-ready support along with the cleaning services, phone booths as well as the availability of the conference rooms, printing facilities, high-speed internet and a lot of conduction of the professional as well as the social events, there are great things in store. Pricing: A private office in any of the available locations will cost you in between $1,100 – $1,220 per month. A hot desk will range in between $550 per month to $610. 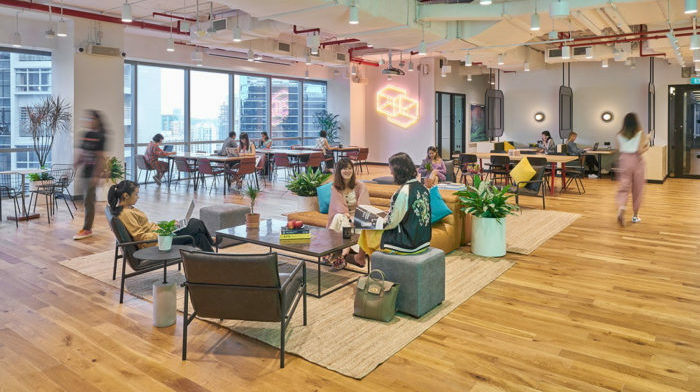 You can also look out for the dedicated desks at WeWork Singapore beginning from $730 per month. Let us look at other WeWork competitors. With the occupancy of three shophouses, The Hive is a kind of coworking space in Singapore which is very active with the organisation of the networking of events for all the creative nerds, entrepreneurs as well as other members associated with it. Placed straight in the centre of the HongKong street, The Hive is a happening place where you can think big and implement your startup ideas with a similar chunk of people working together. Location: The Hive is located centrally on the corner of the New Bridge Road as well as the Hong Kong Street, in between the Clarke Quay as well as the Boat Quay. Amenities: Apart from a private office space, you can opt for meeting rooms and also have the access to the rooftop cafe, an exciting option, isn’t it? Pricing: A hot desk at The Hive Singapore is available for SGD$210 whereas a dedicated desk per person for a single month will cost from SGD$450. A private office on monthly basis for a single person will cost SGD$600. You need to create a brand culture as well as an identity of your own ends with JustCo. This is one of those coworking spaces in Singapore that will not only tailor but will also keep all your rightful workspace opportunities as well as solutions handy. In order to be a little more flexible, fluid and well as innovative in the dropping of the ideas as well as the implementation, JustCo is not only a great support but a place to build the network connections with an inspiring community as well. 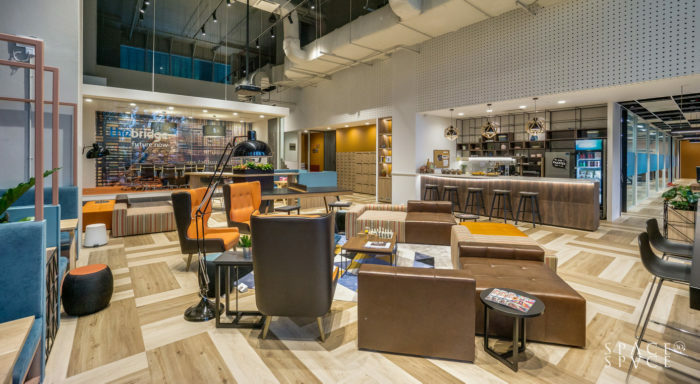 Amenities: In the name of a coworking space in Singapore, the startups not only get a business address, all the related events and perks as well as the access to all the different JustCo locations that are based on the type of membership which one opts for. Pricing: The basic desk at this coworking space at Singapore Robinson will cost a monthly amount of $98. A dedicated desk is available for a monthly cost of $750 whereas, an unlimited one will cost you a monthly price of $398. A studio’s monthly price begins at a price of $800. One thing which is the highlight of The Working Capitol is the diversity of this place. When an entrepreneur or a freelancer joins The Working Capitol, he/she is definitely going to witness the presence of some of the most sparkling minds who are a part of a variable working industry along with having an experience of the most professional services as well as networks which will help your business strive for the best for sure. Amenities: From getting a business address to the credits of a meeting room, from the availability of the private lockers which depends on the membership plans taken up to the accessibility of the member events as well as the rates, there is a lot that awaits the entrepreneurs at The Working Capitol coworking space in Singapore. Pricing: If you are opting for a virtual office with The Working Capitol, the per month price begins at S$79 whereas the monthly price of hot desking is S$255. A dedicated desk will cost you a monthly price of S$700 but the monthly price of a private office is S$760. Popular for being one of the most interesting coworking spaces in Singapore which are equipped with a working environment that is all the more peaceful as well as meditative, Silo by design is something out of the box. The private offices here occupy their own uniqueness as well as minimalist space so that the entrepreneurs enjoy both the features of working in a personal space and thus work and connect through vibrant people. Amenities: The interior design here is splendid. 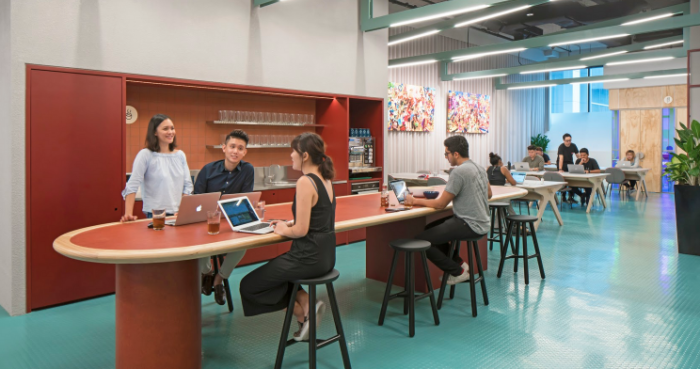 From the availability of private pantries that are available with the private offices to calm the midday hunger bombs to the availability of the basic amenities in the most mesmerising way, this coworking space in Singapore has it all. Spread in 10 countries and being a total of 11 coworking spaces, Collision 8 give all the people stepping into the global world of entrepreneurship, a chance to be a part of a diverse community which is full of revolutionizers as well as upcoming leaders in the field of business. For a next level growth of your business, support in the form of business matchmaking, frequent connection as well as events related to networking, personal introductions, happy hours for the members and a lot more is just a request away. Amenities: The members of Collision 8 get access to the registration of the business address as well as to the mail management also. Access to hot desking as well as the meeting rooms are the added benefits. The fully furnished lockable cabinets are also available but their availability differs on the membership plans taken. Pricing: A private office at Collision 8 coworking space Singapore is going to cost you a beginning price of SGD 1600 for one month. A virtual office is going to cost SGD 50 per month whereas a hot desk and a dedicated desk cost SGD 150 and SGD 650 for a single month respectively. A customised coworking space in Singapore which will cater to even the smallest need of yours is what simply defines Workhouse as. Apart from rendering the options of the meeting room, event venue as well as the conference room rentals, there is a provision of numerous options which are all the more relaxing and brainstorming which will, in turn, help you in building a team which works as a team. Amenities: Be it the monthly socials or the availability of the fibre optic internet, meeting rooms, lounges as well as the conference rooms and 24-hour security, the members get access to a lot of things. Full pantry services along with other focuses like the accounting and the secretarial services are also there. Pricing: Two variants in the name of memberships are available for Workhouse shared office space in Singapore. One being the citizen which comes with more advantages and costs $450 for one person for a single month and the other being crasher that comes with a per person price on a daily basis at $40. 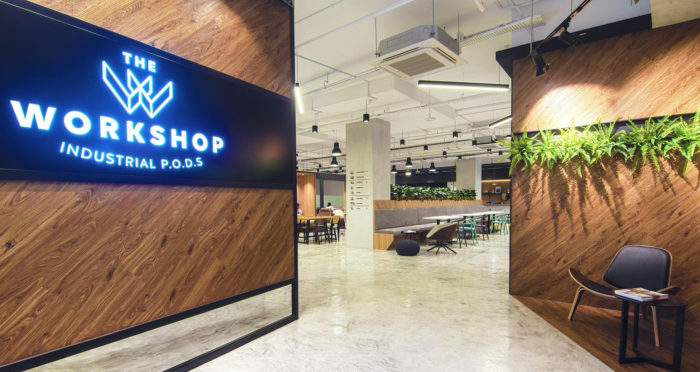 A collaborative coworking space in Singapore, The Workshop is a place that has a fair idea on not only how to provide with the business owners a profound working place for their business but also takes into consideration the untimely risks and hurdles as well as the different forms and responsibilities that come along. Your needs and arrangements here will be fulfilled in the most convenient as well as a very flexible way so that you lay your focus on the smooth functioning of your business very well. Amenities: All the amenities that are available here are based on the type of membership that is chosen by any entrepreneur or freelancer be it the credits for printing, meeting rooms as well as the pantry beverages. All the kinds of amenities here are your sheer value for money. Pricing: The prices of the different desks and meeting rooms differ, so you can choose the one which suits your preference the most. 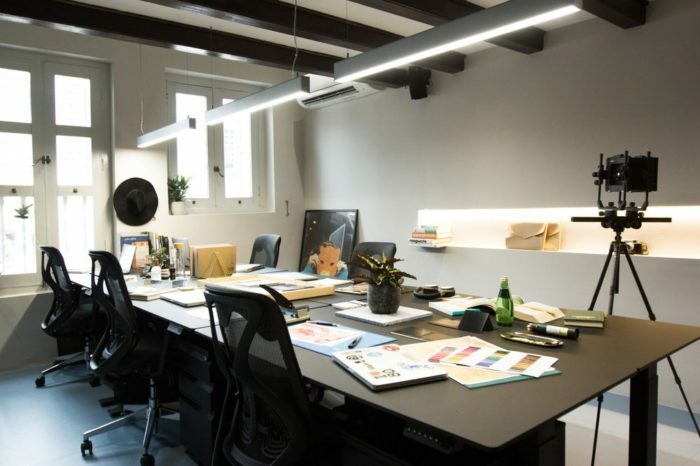 Like, if you wish to work on your personal desk, a fixed desk at The Workshop coworking space Singapore will be the best for you which comes with a monthly price of S$330 whereas a flexi desk will cost you a monthly amount of S$220. There are other options available like storage, event venue etc. 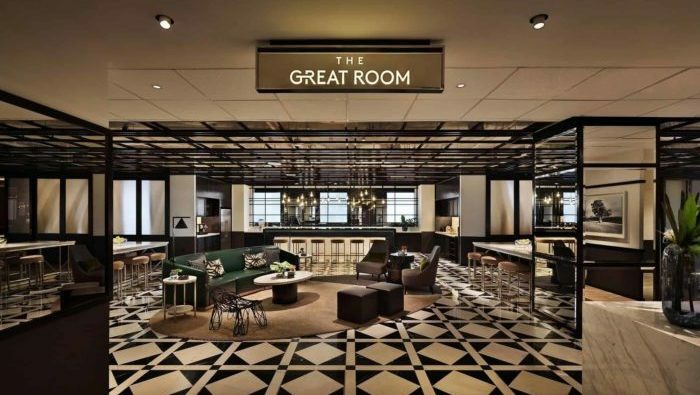 If you are looking for a place which will provide you with a solitude to focus and thus achieve your objectives, The Great Room should be your pitch. 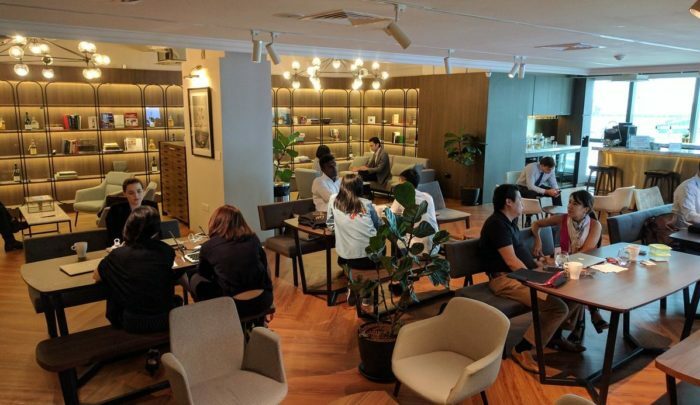 This is one of the best coworking spaces in Singapore which includes within itself a lot of credits that might help improve and increase the credibility of your business. Be it the need of meeting new people or brainstorming, this shared office space in Singapore is a must try. The price for hot desk at this coworking space Singapore starts from $750 a month. They also have other memberships like virtual office, dedicated desks and private offices. 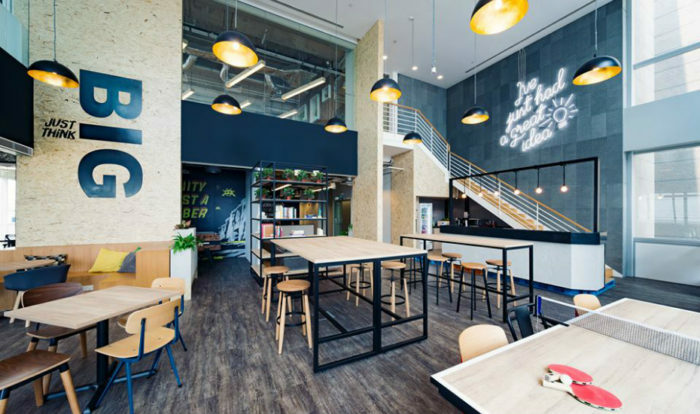 The Bridge is one kind of a coworking space in Singapore where you can treat yourself with a spellbound workspace design as well as the spaces of interaction which support a diversity of the client base. If you wish to work in a cool environment for working to conduct all the more productive meetings by becoming a part of a community that is all the more close-knit, The Bridge coworking space in Singapore should be your pick. Membership plans at The Bridge start from Singapore $440 a month for unlimited hot desk access. The price for a dedicated desk is $605 per month. They also have private office suites. Your search of a prime office address for your venture in one of the most happening places in the city will be fulfilled by the coworking space Singapore. These shared offices are a home to numerous startups and individuals. Some corporate companies are also a part of these co working spaces. The bottom line is that the trend of coworking is growing like anything and it is the right time to jump and experience the beauty of a coworking space in Singapore.